3. 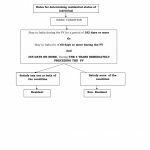 The residential status of the assessee. All taxable entities are divided into the following categories for determining residential status. · Residential status is always determined for a PY and not for an AY. · Residential status may vary from one PY to another PY. · Different residential status for different sources of income in same PY is not possible. If a person is resident in a PY in respect of any source of income, he shall be deemed to be resident in India in respect of each of his other sources of income. · If a person is resident for one source of income, then he is deemed to be resident for all sources of income. Eg: If Mr. Khandelwal is resident in case of income from house property then he will be deemed to be a resident for all his sources of income too. (ii) He Stays in India for a period of 60 days or more during the P.Y and 365 days or more during the 4 years immediately preceding the P.Y. Explanation to Sec 6(1): In the following cases 60 days criteria in the 2nd basic condition shall be replaced by 182 days. i.e., only the first basic condition will be applicable. (II) An Indian citizen or a person of Indian origin, who comes on a visit to India during the P.Y. Person of Indian origin: An individual is treated as a Person of Indian origin if he or either of his parents or any of his grandparents were/was born in undivided India. 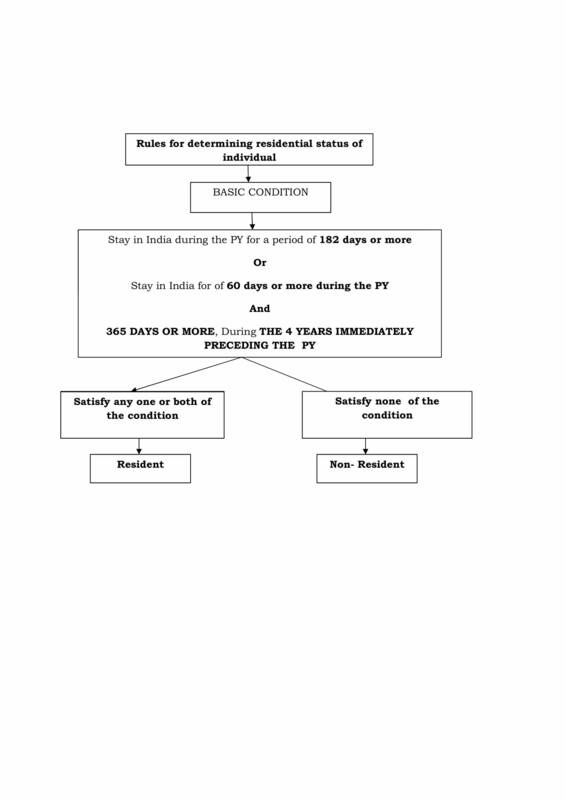 Explanation 2: In the case of an Individual, being a citizen of India and a member of the crew of a foreign bound ship leaving India, the period or periods of stay in India shall, in respect of such voyage, be determined in the prescribed manner and subject to the prescribed conditions. According to Rule 126, in case of an individual, being a citizen of India and a member of the crew of a ship, the period or periods of stay in India shall, in respect of an eligible voyage, not include the period commencing from the date entered into the Continuous Discharge Certificate in respect of joining the ship by the said individual for the eligible voyage and ending on the date entered into the Continuous Discharge Certificate in respect of signing off by that individual from the ship in respect of such voyage. (ii) For the voyage having originated from any port outside India, has as its destination any port in India. 1. He has been resident in India in at least 2, out of 10 P.Y. immediately preceding the relevant P.Y. 2. He has been in India for a period of 730 days or more during 7 years immediately preceding the relevant P.Y. 1. It is not necessary that stay should be continuous. 2. In computing the period of stay, generally the day of entry and the day of departure will both be included. However in borderline cases, when his stay is hear about 182 days, the calculation will be made on hourly basis and a total of 24 hours will be taken as a single day. This entry was posted in International Law and tagged CONCEPT OF RESIDENCE. Bookmark the permalink.